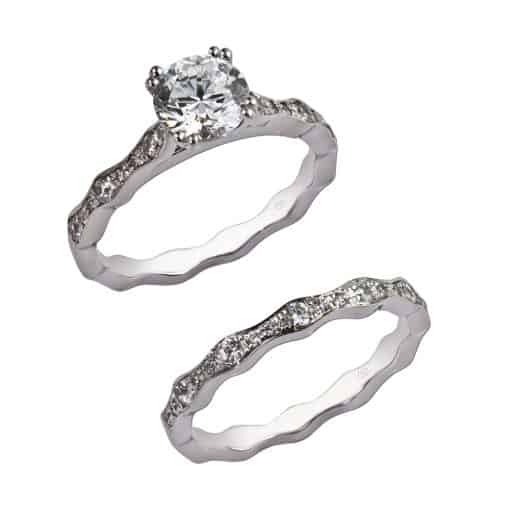 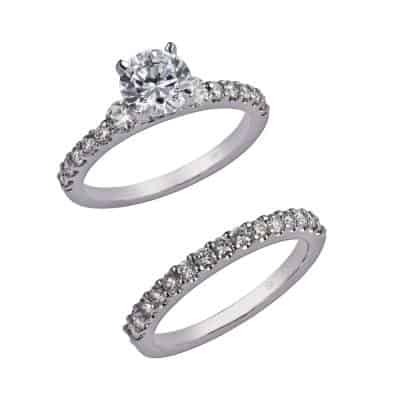 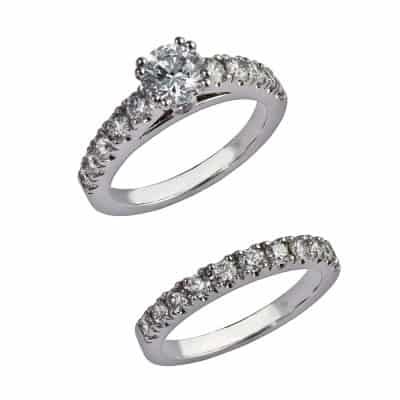 Wavy band with diamonds prong set along the shoulders, leading the eye to a beautiful center stone. 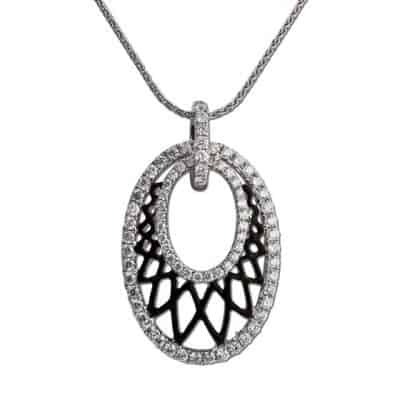 Scrollwork beneath the head adds an extra romantic touch. 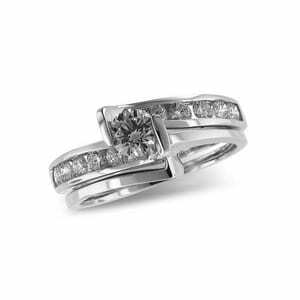 With wedding band for bridal set.